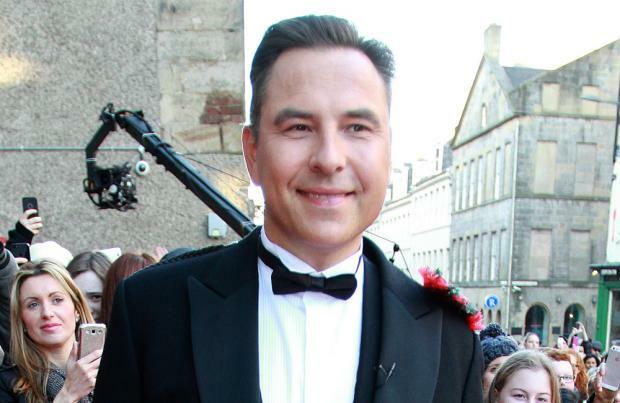 David Walliams has admitted he thinks Sheridan Smith is "seriously talented and called her "out of this world"
David Walliams says Sheridan Smith is "seriously talented". The 45-year-old actor is set to star with the actress in his new series 'Walliams & Friend', and has gushed about how the 35-year-old star's acting abilities are "out of this world", and even says she rivals the likes of global stars such as Keira Knightley. David said: "There's just something special about her. "I've seen her onstage and there's a vulnerability there. "She's somebody who you feel protective over. She's not actress-y. She's like a normal person. But she's also a chameleon. "She is really seriously talented. People have been waking up to that since 'Cilla' and 'The C Word'. You've got your Keira Knightleys but Sheridan's range is out of this world." The 'Britain's Got Talent' judge was amazed by how well she can portray "tragedy" in a comedy sketch show. He told The Sun newspaper: "We could give her things to do in in this show that had an element of tragedy which you couldn't just give to any actor. There's one sketch where she's a cruise ship singer and she's just magic." It isn't just his sketch show that David has his eye on for Sheridan either, as he admitted he would like to write a drama about Dame Joan Collins with the blonde beauty taking on the 'Dynasty' legend. He said: "Sheridan's just magic. She gets better and better every time I see her - I liken her to Julie Walters." "I want to write a drama about Joan Collins and have Sheridan play Joan. It would be about the court case just after Dynasty. Joan had written a book but the publishers rejected it and tried to get the advance back." Whilst David might have a soft spot for Sheridan, it's comedy duo The Chuckle Brothers that he most enjoyed working with. He said: "They're iconic and brilliantly funny. When we did Comic Relief with them, Stephen Fry and Liam Gallagher were starstruck." David's new sketch show also boasts talent from the likes of Jack Whitehall, Harry Enfield, Miranda Richardson and Hugh Bonneville. The six-part series follows on from the success of last year's Christmas special. 'Walliams & Friend' will air on Friday (25.11.16) at 9:30pm on BBC1.